Super Low Prices and a large selection of Cb antenna mount like mirror mounts, trunk mounts, magnet mounts, bumper mounts and ball mounts. Cb antennas and mounts coax and accessories at GI Joe's Radio Electronics. Also see "Cb Radio & Scanner Connectors" in the left menu for Cb antenna spring, cb antenna quick disconnect and springs, PL259 connectors, other adaptors and accessories for Cb antennas. 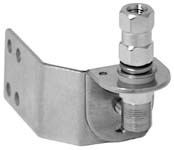 You can also find more Wilson and K40 cb antenna mounts listed under "Cb Antenna & Mounts" then select "Wilson Cb antenna parts & accessories" or "K40 Cb Antenna Parts & Accessories". *Heavy Wilson Cb radio antenna surface mount for large Cb antennas. Designed for roof and other flat surface applications. *Standard 3/8" x 24 threads with SO-239 connectors. *For use with plug-to-plug hook-ups. 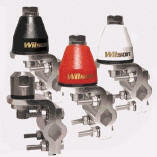 *Designed to enhance performance of "Oil Can" style mobile CB antennas. *Extra heavy duty non-corrosive aircraft aluminum for long life. *Standard 3/8" x 24 threads with SO-239 connectors for use with plug-to-plug hook-ups. *Set includes heavy stud and mirror mount. *The Cascadia Mount attaches to the mirror using two of the trucks existing mirror bolts. *Choose Driver or Passenger side mounts or both for dual antennas. *Stud Mount not included. 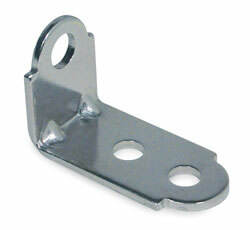 We recommend our Standard 3/8 stud #580 or the heavy duty H Stud #581. 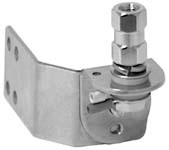 See the "Cb Radio Antenna Mount" page for our full list of antenna mounts. *Recommended coax: 30' Mini 8 coax. Heavy Duty Aluminum Cb antenna Mirror Mount w/SO-239 Connector - For International and Volvo Trucks with the large round mirror bars of 1-1/4" diameter. Road Pro RP-545. *Heavy Duty Aluminum Cb antenna Mirror Mount w/SO-239 Connector - For Freightliner Coronado, Mack, Columbia and Century Class Trucks with the large round mirror bars of 1 1/8" diameter. 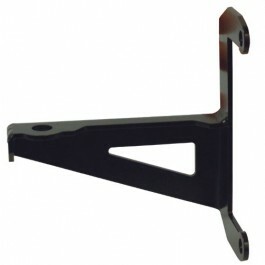 *See our #545 mount for Freightliner and Mack trucks. *Clips on to mirrors or other metal surfaces. *Cb Antenna Stainless Steel Mount "Jaws"
*CB antenna mount for mirrors, bumpers & more. *Brands other than the one pictured may be substituted. *Extra heavy mirror mount for large Cb antennas. With 6 set screws and SO239 connector for Cb coax. *Holds fiberglass whips up to 4' long. *Click View Detail for options. *This 6" stainless steel bar, will replace one of the bolts that hold the mirror onto the truck. A standard mirror mount can then be mounted to the bar. *This also grounds the mount to the door.